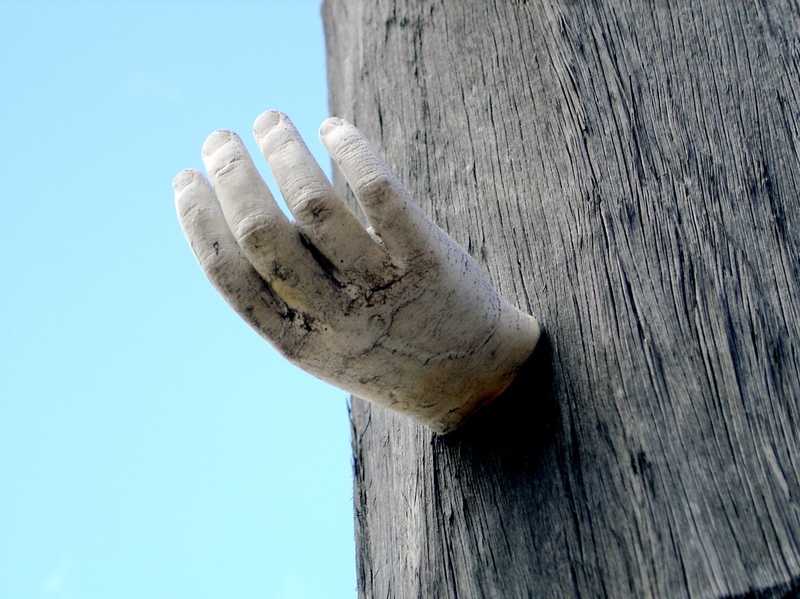 I was aware of the dangers as I wrote about un-commissioned three dimensional works of street art in the final chapter of my history of public sculptures, Sculptures of Melbourne. Placing a current trend at the end of a history is almost predicting the future and that is always open to error. The danger is that a trend can simply fizzle out and the artists involved have no real influence on the future such that future readers will be left wondering why. Of the street artists that I illustrated in my book about half are still active. 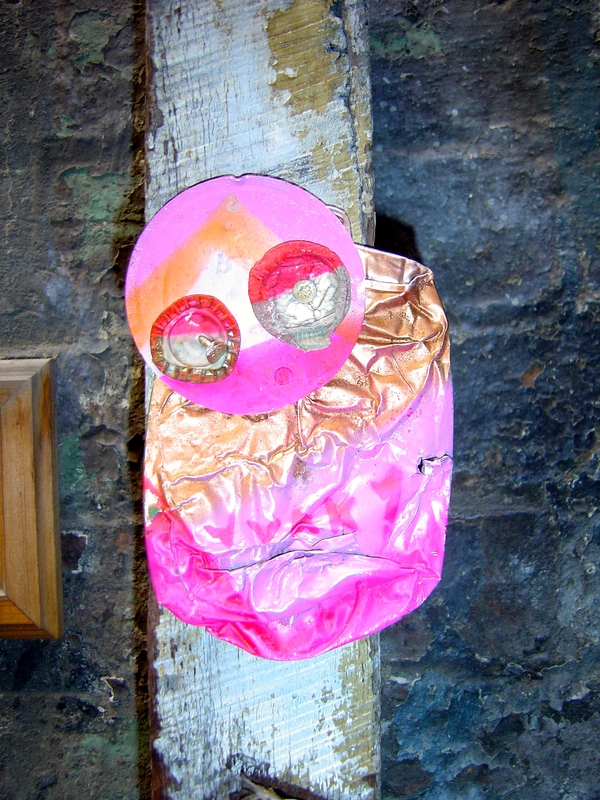 Junky Projects is currently exhibiting more of his bottle-cap-eyed figures made of found rubbish at Melbourne gallery, Dark Horse Experiment. 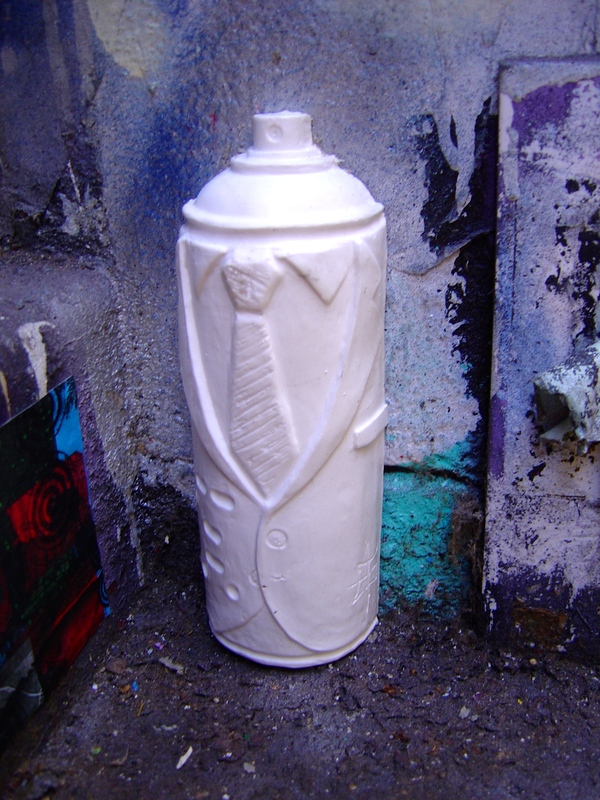 GT Sewell has been more active both exhibiting and adding more of his series of works based on the form of a spray can on the streets. Work by Will Coles can still be found around Melbourne but Nick Ilton, Mal Function and CDH are no longer active on the streets. 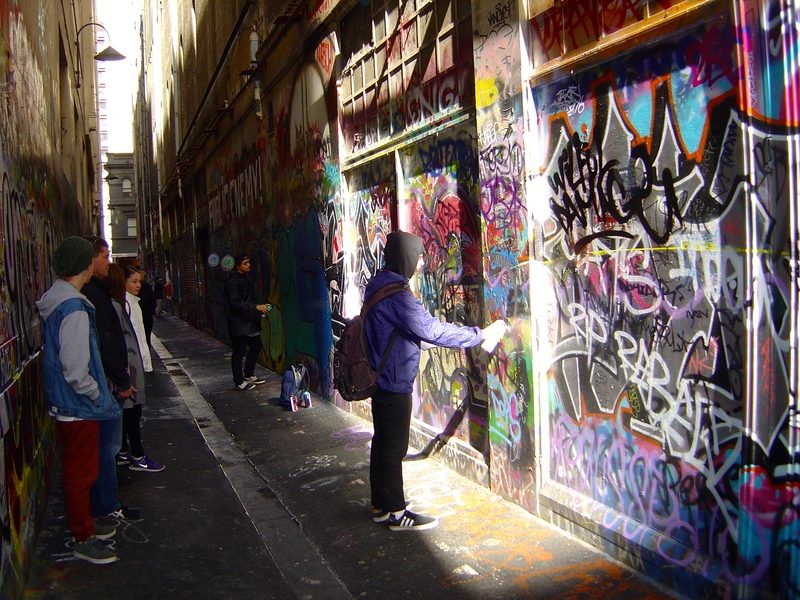 However, in the last year new artists have made their mark on Melbourne streets. Kranky assembling art from plastic rats, Barbie dolls and other toys. 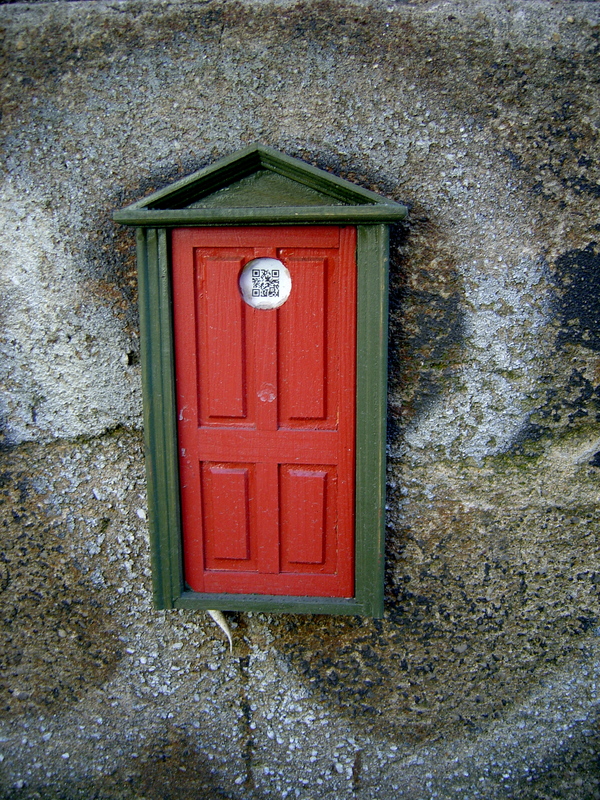 Tinky Sonntag works with miniature figures, toy soldiers and model on a very small scale. 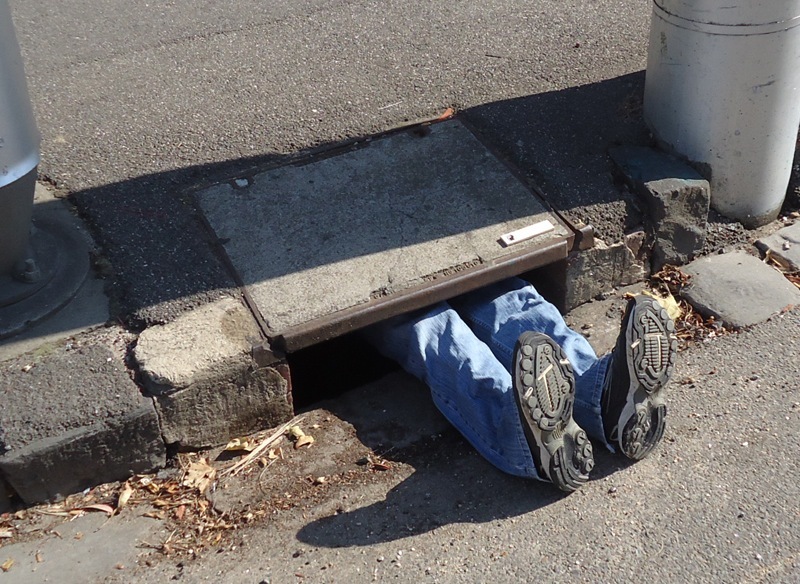 Tinky makes uses the infrastructure of the street, drains become rabbit holes, missing bricks become crypts, reusing favourite locations in Presgrave Place for different installations. These assemblages are easily disassembled on the street but missing parts can be replaced or a new work added. Kranky makes up for their work’s lack of durability by being prolific. 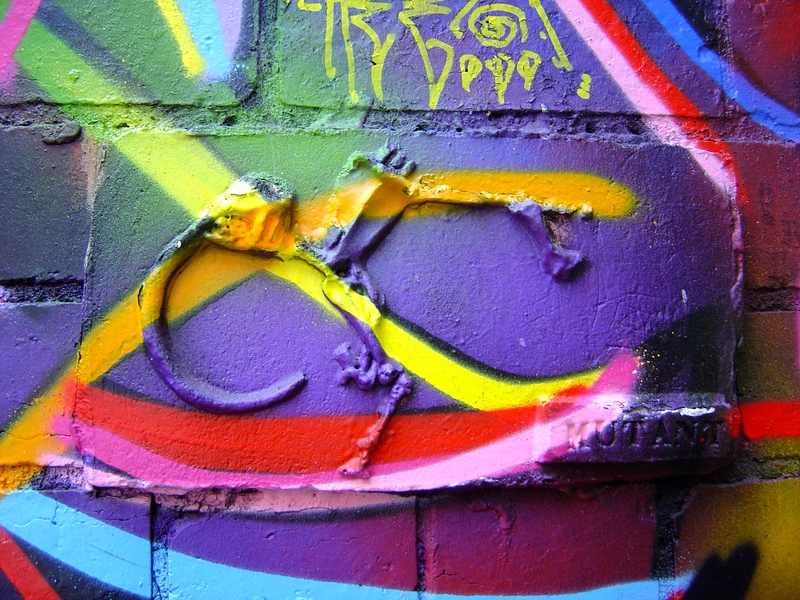 Un-commissioned street art sculpture includes the non-destructive augmentation of existing permanent sculptures. 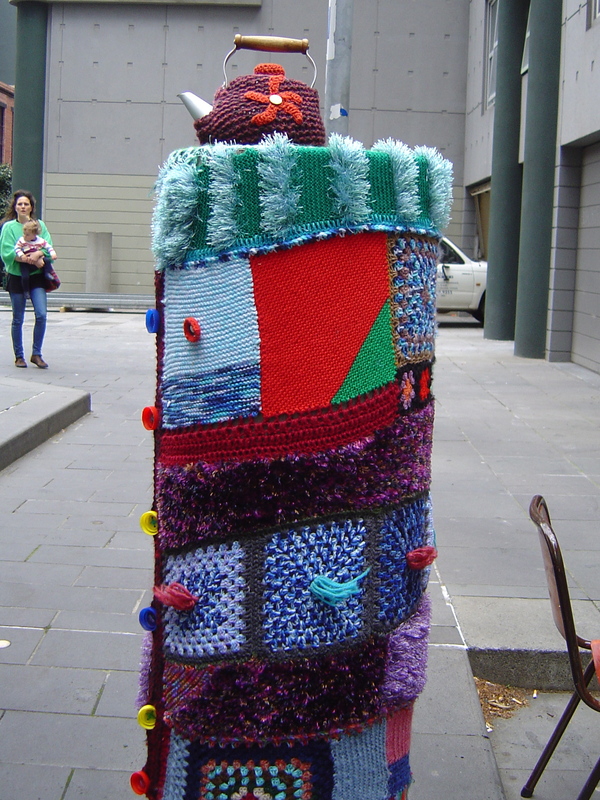 Recently on Gertrude Street someone put a knitted dress on one of the Delkuk Spirits by Kelly Koumakatsos. It is still too soon to tell almost a year since the book was published and well over a year since I finished writing it. However, I remain confident that street art sculptures will continue as there are still street artists producing three-dimensional work in Melbourne’s streets and lanes. There are still plenty of unknown anonymous artists assembling or casting sculptures for the street. 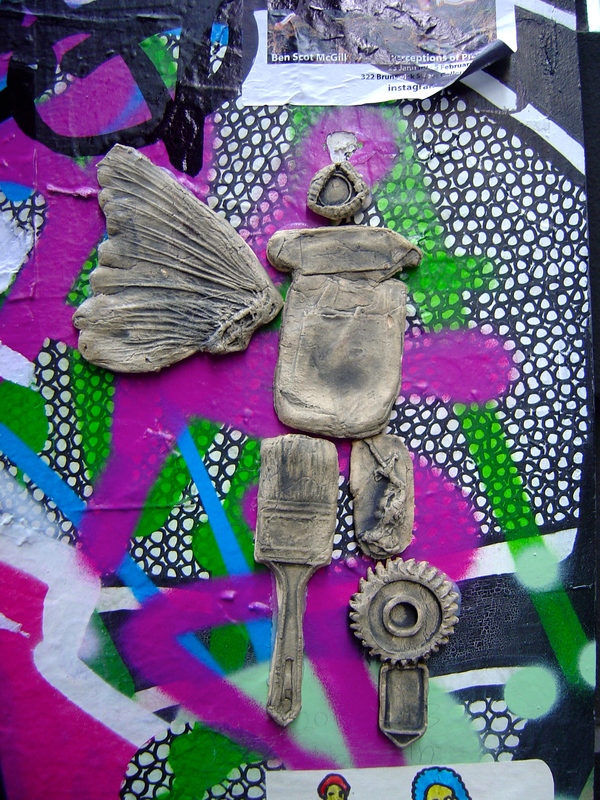 Another reason that I am confident in my predictions for street art sculpture is because it is not isolated to Melbourne; last year I wrote a blog post about street art sculpture in the Whitechapel Area. Walking around the city on a Saturday gallery crawl I couldn’t pass up the opportunity to walk down a couple of Melbourne’s more artistic laneways: Union Lane and Pesgrave Place. A group of guys spray painting along the length of Union Lane, as usual there was also someone documenting it with photographs but one of the artists was videoing himself with a small camera strapped to his head. An artist eye view of painting a piece, Picasso would have loved that technology. It was J.D. Mittmann and Amanda King who organised the first legal painting in Union Lane back in 2008 as part of the city’s Graffiti Mentoring Project. Somewhere on its walls under years of aerosol paint there are works by Phibs, Deb, Rhen, Taj, Ha Ha and many other artists. Union Lane is currently managed/curated by Signal as part of its street art mentoring project. Union Lane is a lot narrower than Hosier Lane, it is now just a gap connecting the Bourke Street Mall to Little Collins Street; it is more about graffiti and less about street art but there were a couple of new Junky Projects, now colourfully spray painted with stencil tags. Presgrave Place is the opposite of Union Lane a location for odd street art rather than graffiti, the op-shop frames glued to the wall are still there but most no longer have their old prints in them. There is an old paste-up by Happy of a dead Pinnochio hung with noose made from his long nose and a new Junky Projects. 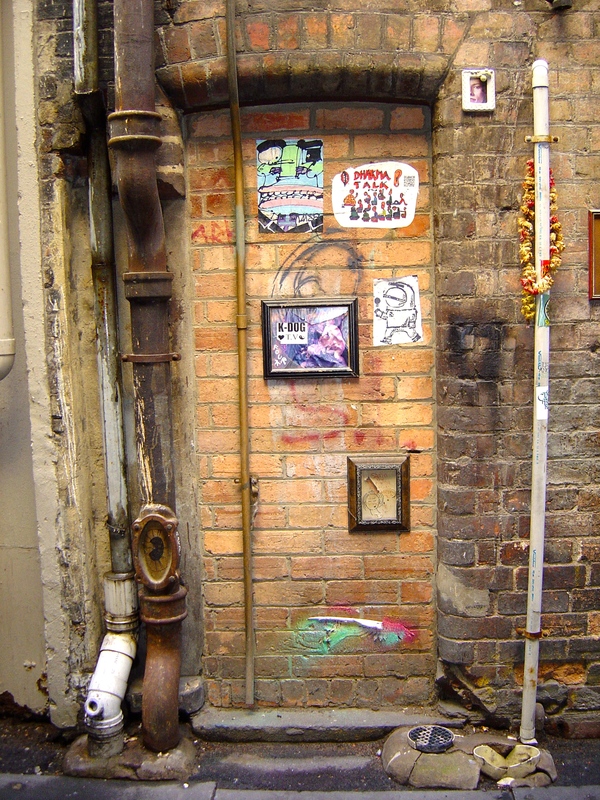 In Presgrave Place there is also Melbourne’s smallest art gallery, Trink Tank, a small glass vitrine outside Bar Americano. 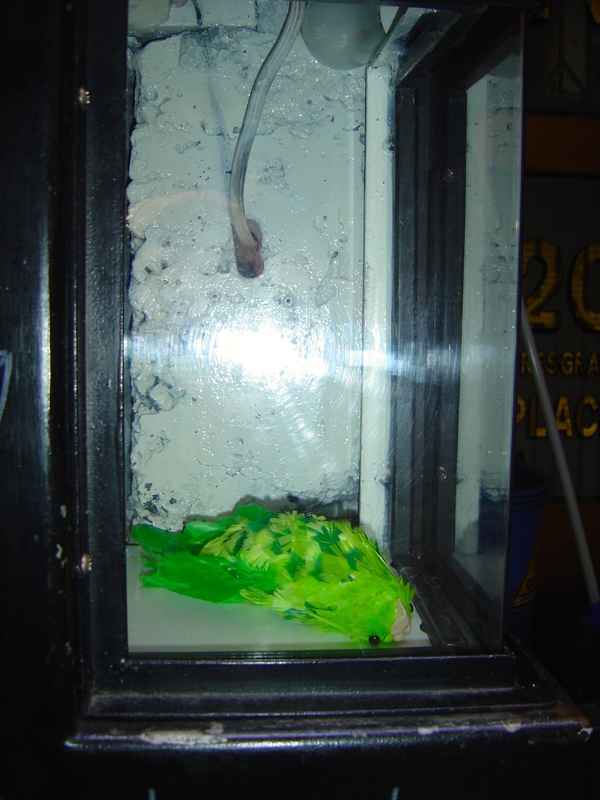 Nicholas Smith was exhibiting “Notes on Live Night Parrot Sightings in North-western Queensland” with a model of the last authenticated sighting, a dead parrot (Pezoporus Occidentalis) found on the side of the road. I have love street installations. 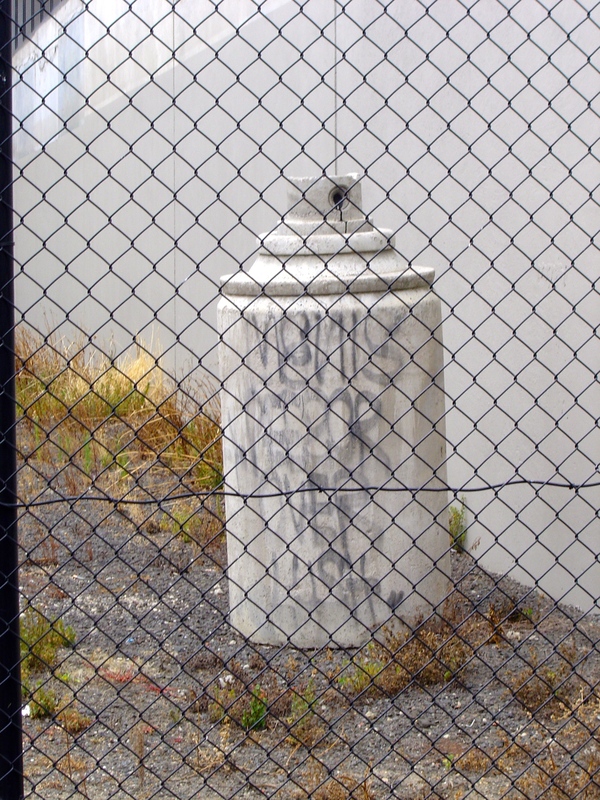 I write about street art installation in my book on Melbourne’s public sculpture because street installations, although not officially sanctioned, are still seen by the public. 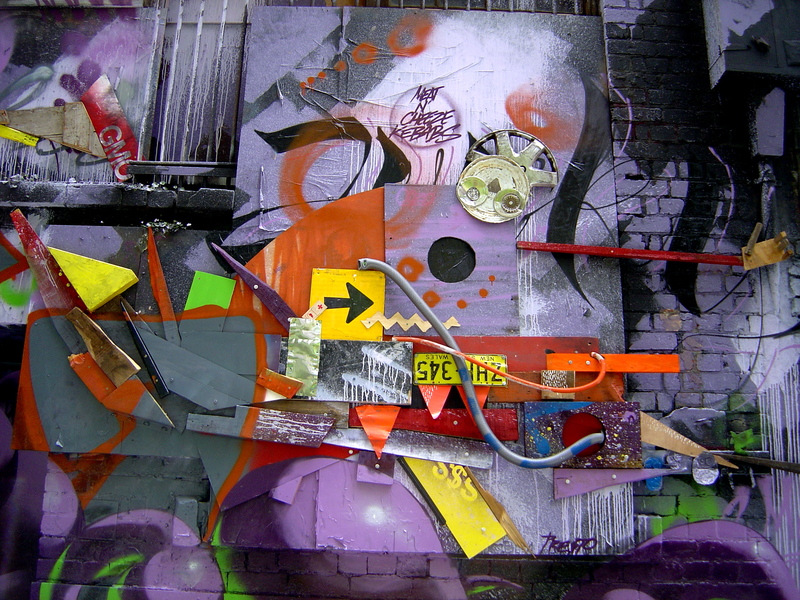 The new Junky Projects that is part of All Your Walls in Hosier Lane is the largest that I have yet seen on the streets, becoming more abstract in his compositions. It a Dadaists/Futurists. 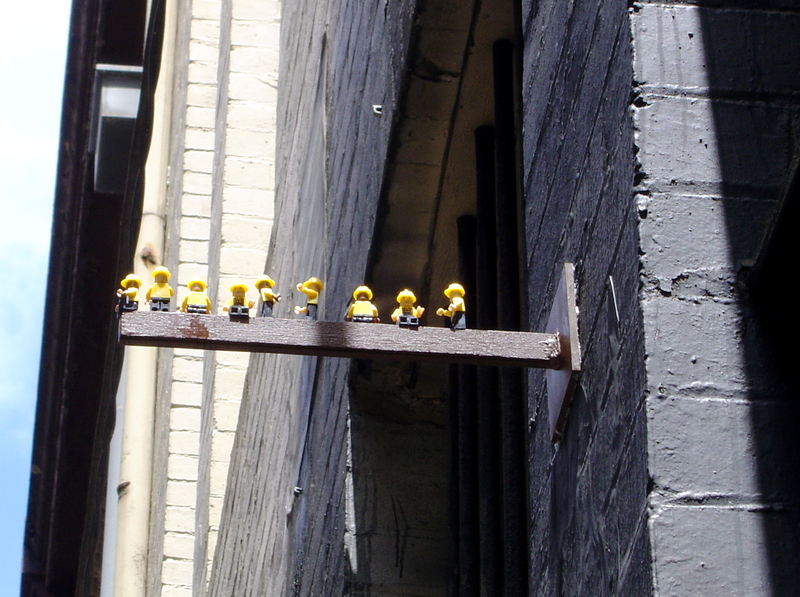 The Lego men in also All Your Walls by Pop Cap. 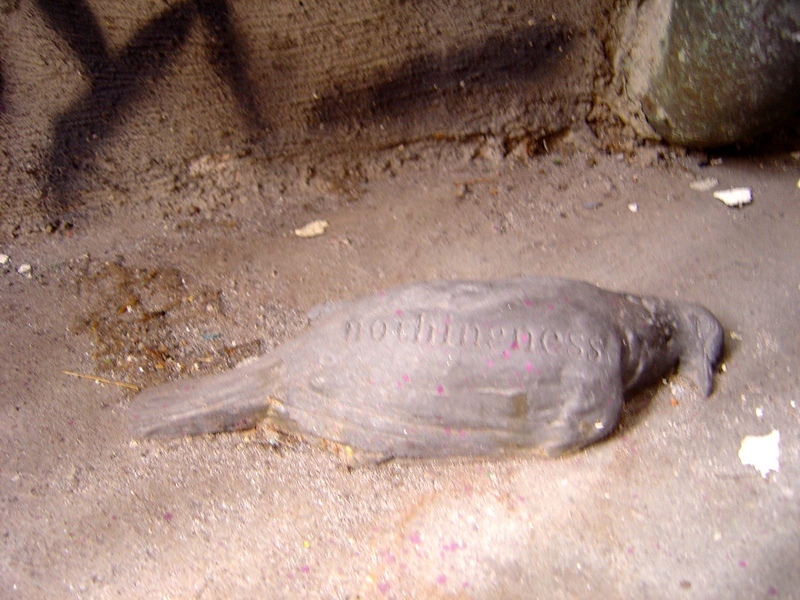 Will Coles, Nothingness, does anyone notice if a pigeon dies? 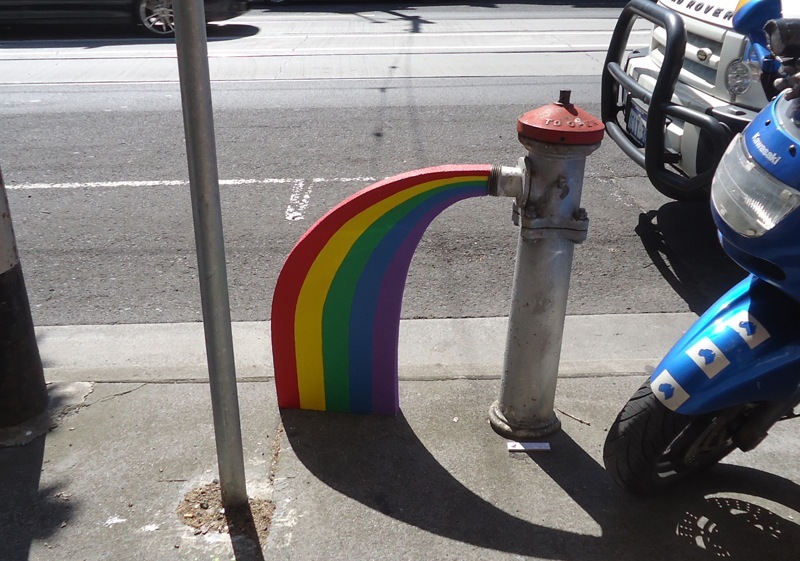 Photograph that Psalm sent to me, this urban Rainbow is some of some of his fine work. Showing that he can do installations and other street art. Another photograph by Psalm of his work, Drain, its an old gag but worth doing well. 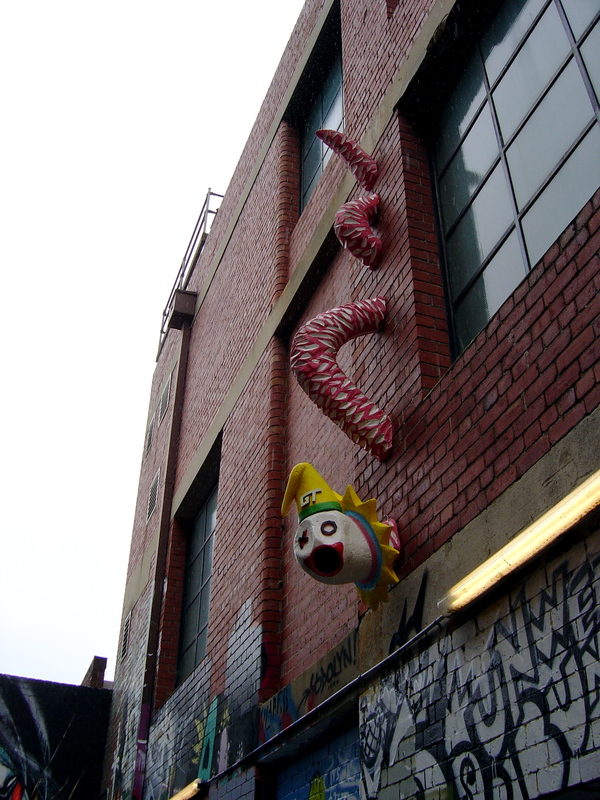 A great serpent clown by GT in Blender Lane. Yarn bombing referring back to the tea-cosy. Is yarn bombing trying to make the city more cosy? 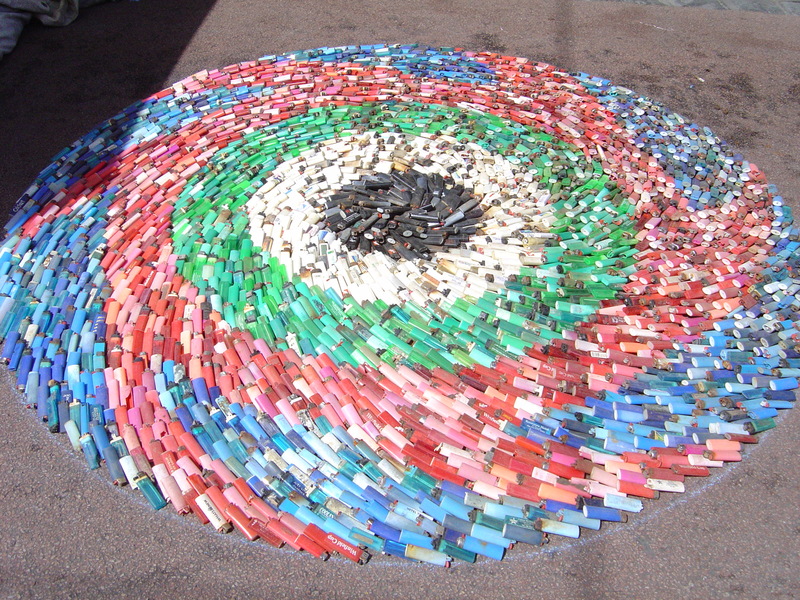 A temporary installation; Les Futo’s great spiral of used lighters, presented at the Brunswick Festival in 2008. Can fling-up be art? 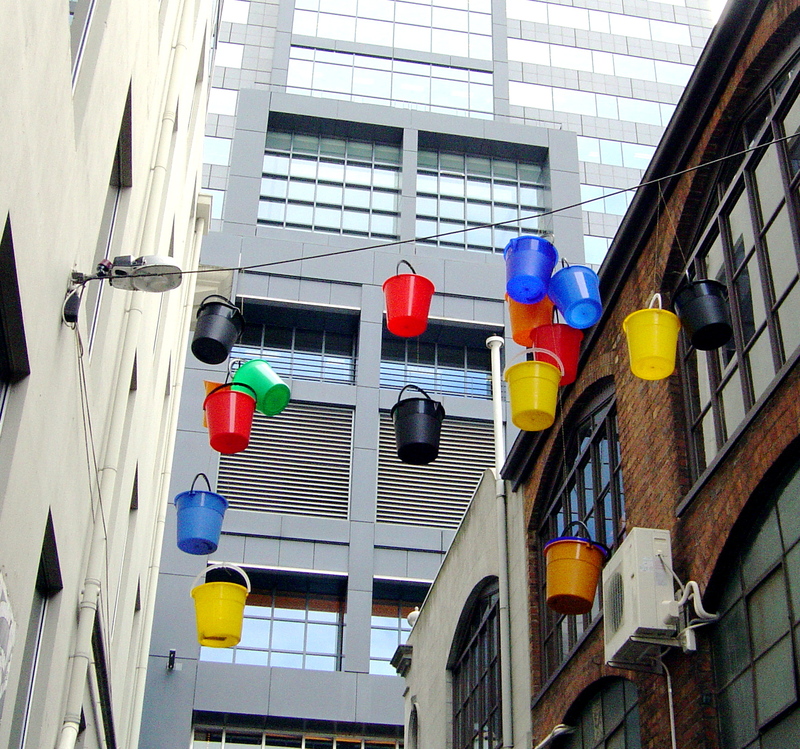 In 2009 these buckets appeared in AC/DC Lane. 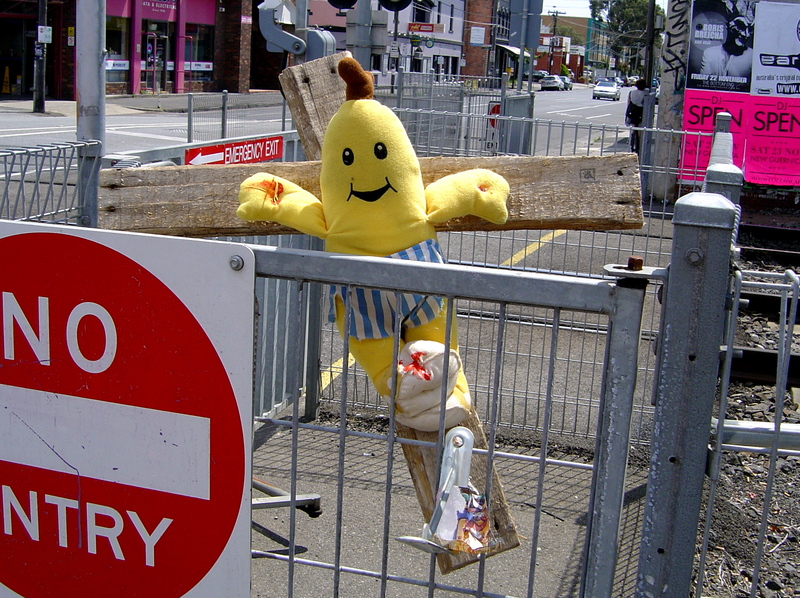 B1 Crucified in Brunswick in 2013. Is this a reference to cuts to the ABC?